We are pleased to announce the Texas Lyricism Competition for Oboe and Bassoon, offering over $4000.00 in prizes! The Texas Lyricism Competition for Oboe and Bassoon aims to foster attention to the aesthetic and expressive qualities of art music among high school oboe and bassoon students. Judging criteria will favor beauty of tone, lyricism, individual interpretation, and effective collaboration. Eligibility: Oboe and Bassoon students currently enrolled in high school in the United States, grades 9-12. § Adelaide in Bb major, Op. 46, by Beethoven (play the vocal line). The music is available here . § Adelaide in Bb major, Op. 46, by Beethoven (play the vocal line). The music is available here . A transposition in bass clef will be available on the website soon. For the first round of the competition, performers will submit video recordings through YouTube. Please combine a full run-through of each of the two repertoire selections listed below into one unlisted YouTube video and provide the link in your application. Collaborating with a pianist for the preliminary round video is preferred but not required. Unlisted recordings can be viewed by anyone with a link, but are not searchable. 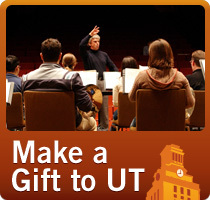 Up to six finalists will be invited to play in recital for the final round in performance halls in the Sarah and Ernest Butler School of Music on the University of Texas campus on May 18, 2019. If finalists do not have access to a pianist or if a pianist is unable to attend the final round recital in Austin, the competition will provide a professional collaborative pianist at no charge. Video recording uploads of the required repertoire, online application, and $20.00 application fee must be received by March 22, 2019. We hope you will encourage your oboe and bassoon students to engage with this beautiful repertoire, strive for artistry, and work towards achieving excellence!